It’s powerful. It’s menacing. It’s all-American. It’s the 2018 Dodge Charger, available now at Landers Chrysler Dodge Jeep Ram of Norman. The 2018 Charger has all the power and style of a capable sports car, while simultaneously offering the convenience and fuel-efficiency of a four-door sedan. Landers CDJR of Norman customers come in from across the Oklahoma City metro, including Edmond, Moore, Midwest City, Yukon and Del City. Appease your curiosity and come see the 2018 Charger in person today. 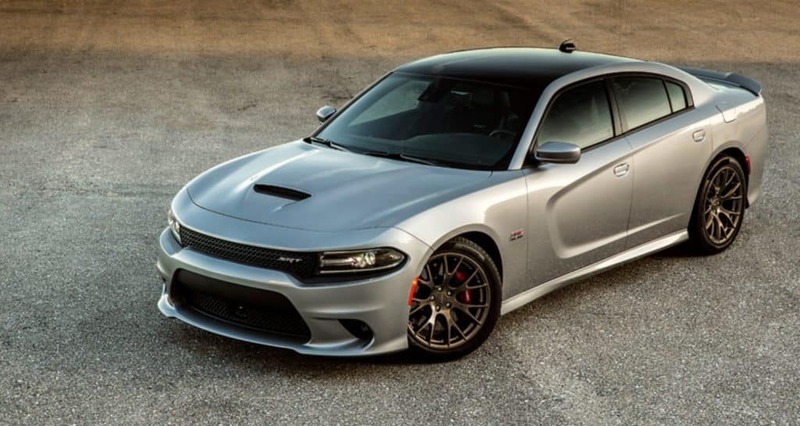 With up to 485 horsepower and 475 pound-feet of torque on the SRT trim, the Charger has what it takes to get any job done, whether you’re smoking your friends on the track or picking the kids up from school. If you want more, you can upgrade to the Hellcat version which exerts an astonishing 707 horsepower and 650 pound-feet of torque. The Charger’s state-of-the-art eight-speed automatic transmission delivers show-stopping precision and fuel efficiency, and it has an available Sport Mode along with available paddle shifters. Plus, the advanced all-wheel drive means you can still take to the track under virtually any conditions, rain or shine. The list of impressive performance-enhancing features goes on, giving you the tools you need with offerings like electric power steering, launch control and traction control. The exterior of the 2018 Charger is sleek, chiseled and aggressive. It’s like the perfect combination of retro and modern, showing off futuristic elements while simultaneously nodding to its muscle-car heritage. The scalloped side doors and available LED lights give your Charger the ability to leave a lasting impression everywhere it goes, any time of day or night. It offers LED fog lamps, daytime running lamps and projector headlamps, or high-intensity discharge headlamps, depending on the model. The back end can be customized with your choice of a three-piece body color spoiler, one-piece satin black performance spoiler, or one-piece body-color performance spoiler. The 2018 Charger is so saturated with tech, it’s basically like having a robot chauffeur. It starts out with the 7-inch digital cluster display that keeps you in the know with all your vehicle info. The adaptive cruise control feature will go the extra mile to actually apply the brakes on your vehicle in emergency situations. Sport mode lets you toggle back and forth between using the Charger as a daily driver and using it to tear up the pavement. The Charger will even turn on your windshield wipers for you when they detect rain on the windshield—and it will adjust the speed of your wipers as the rain increases and decreases. You can customize your cockpit with the available Travel Link system, you can check your performance stats in real time, and you can easily make hands-free calls. You will find USB ports and auxiliary plugs for your convenience, and Bluetooth connectivity is easier than ever. The 2018 Dodge Charger is a car you have to experience for yourself. 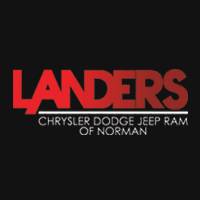 Landers Chrysler Dodge Jeep Ram of Norman is the perfect place to get behind the wheel and feel the power under your feet. Come see us to take one for a test drive or check out our inventory online. Browse our 2018 Dodge Charger inventory online.